Building a family website has become very popular these days. 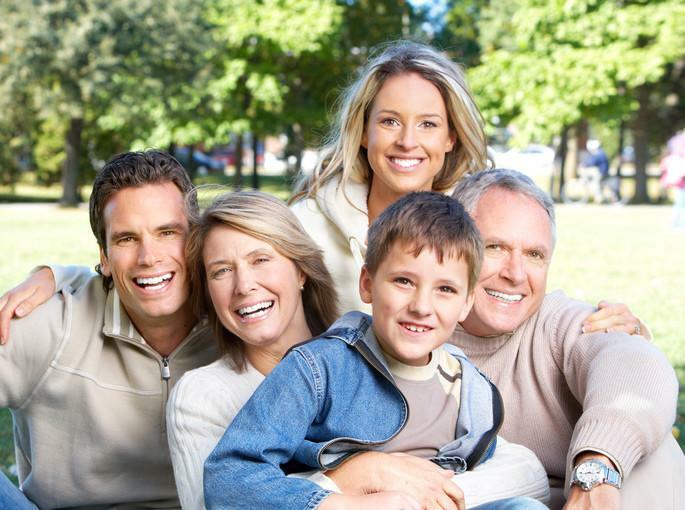 You may not be aware but several options exist, including MyGreatBigFamily.com, for those wanting to setup their own customized website for collaborating with family members. There is no better way to promote communication, participation and collaboration within your family than to have a website gathering place solely dedicated to them. My Great Big Family is a subscription based service that handles all the behind the scenes technical details to provide their customers with a turn-key family website. Gone are the days when you had to be a technical whiz and setup your own server from scratch. Most genealogists do not have the background required to purchase a domain name, setup a web server and create the content necessary for a good collaboration experience. My Great Big Family utilizes a feature rich template which is pre-configured with data you provide during the ordering process. All you have to do is buy their service and create userids for your family members. Now you are ready to load family data/pictures and invite your family to participate. The process is so easy that anyone can do it. The features of your website can be customized using intuitive web based admin panels. The look and feel and colors can be modified as well as adding or removing features and administering user accounts. One of the most powerful features is the ability to import GEDCOM files. Most folks interested in their family genealogy have already collected family data and stored it in a genealogy program. This feature allows you to save a ton of time and labor entering family information into the website by importing via an exported GEDCOM. Cost for the service is a concern most people share. The last time I checked, the price for a year’s service was $139.95, which comes out to $11.66 per month. Considering that this one fee covers your entire family, there is no limit on uploading content, and the vast array of built-in features this price is surprisingly affordable. If you wish to try it before you buy it, there is a live demo of the Pearson family website that you can look at and try out. It is not hard to imagine what your own family’s website would look like by browsing this pre-loaded website. What could be better than browsing a live website to kick the tires of their service? If creating a private and secure family website is something you have been contemplating, there is no reason to wait any longer when such a simple to use service is just a few clicks away. Procrastination is robbing you and your family from sharing, communicating and having fun in their own custom space and preserving your family’s history.